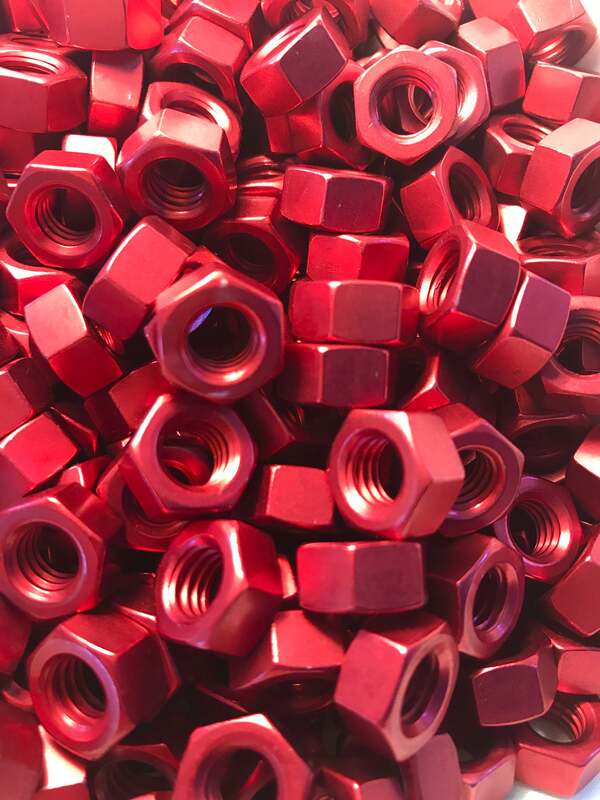 Buying (1) = qty of 100 Anodized Colored Aluminum Red Hex Nuts. 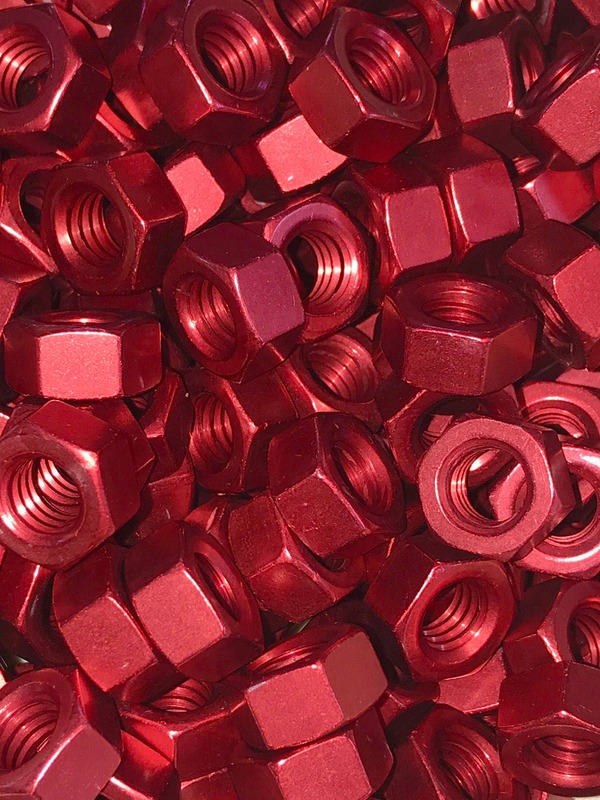 These are Aluminum Anodized red colored 5/16-18 hex nuts. 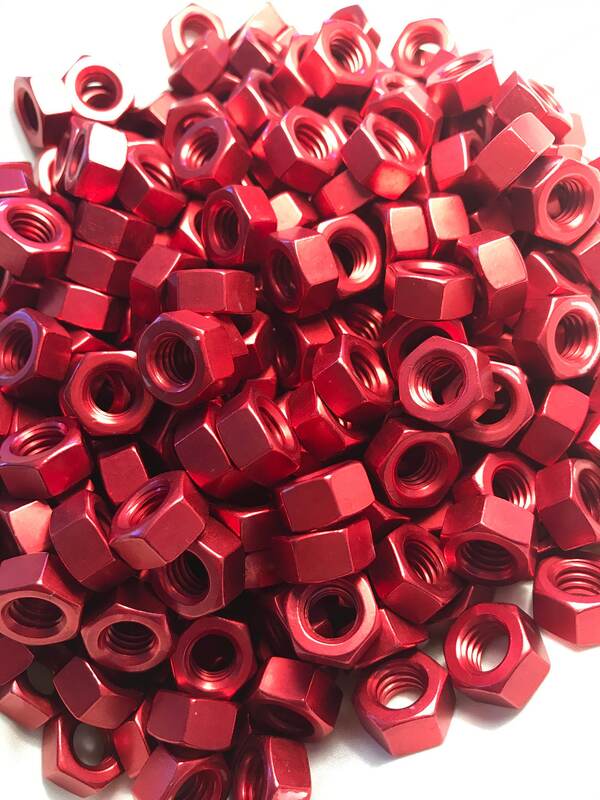 Custom made Red Anodized Colored Aluminum Hex Nut size 5/16-18. Other sizes available upon request. 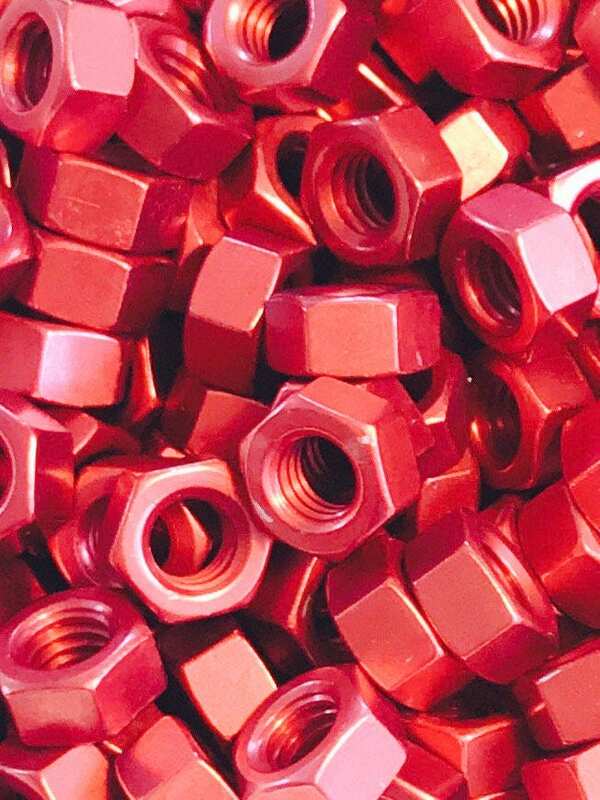 Also please note: The Anodizing process is not 100% accurate on the overall coated area of an item sometimes. 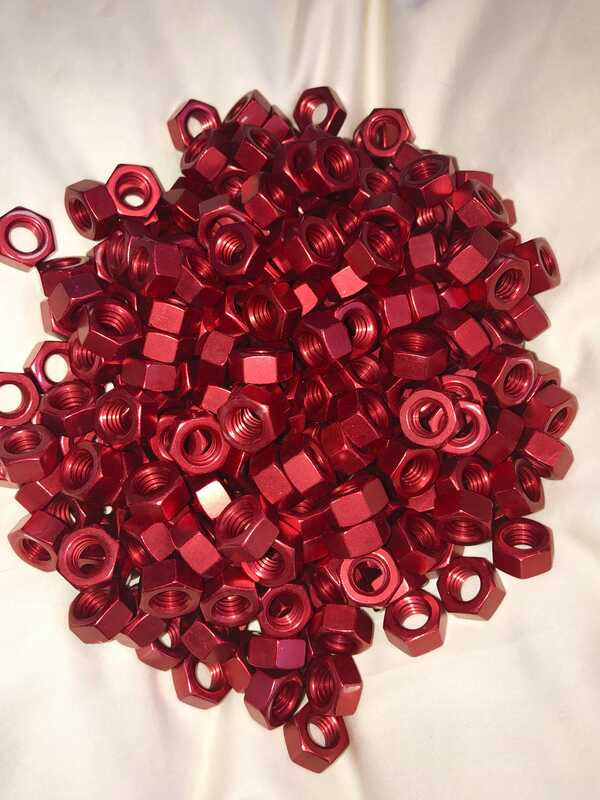 The process requires contact points when doing the anodizing process. That means there might be uncolored spots, dots or small imperfections randomly in a batch. We have done our best effort to remove those with the largest areas without color. 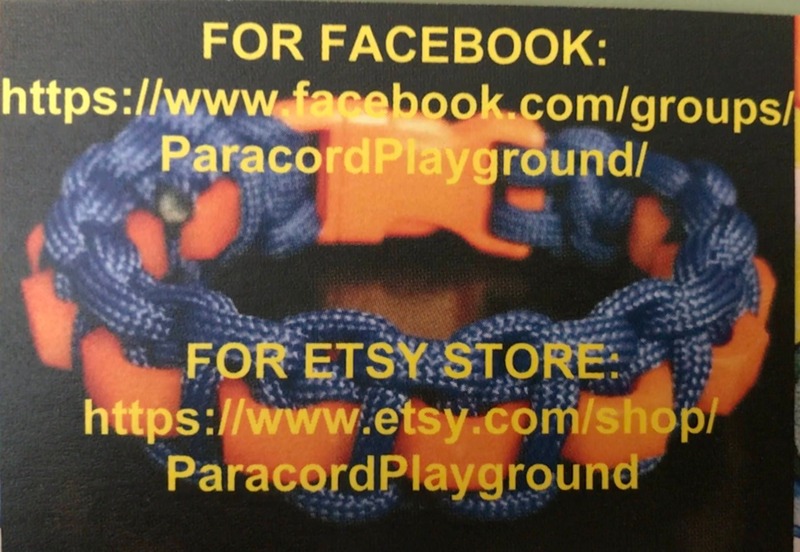 We will do our best to minimize the number of pieces you may receive with small imperfections.